"Palestinians driven into the sea at Jaffa Harbor, late April 1948. 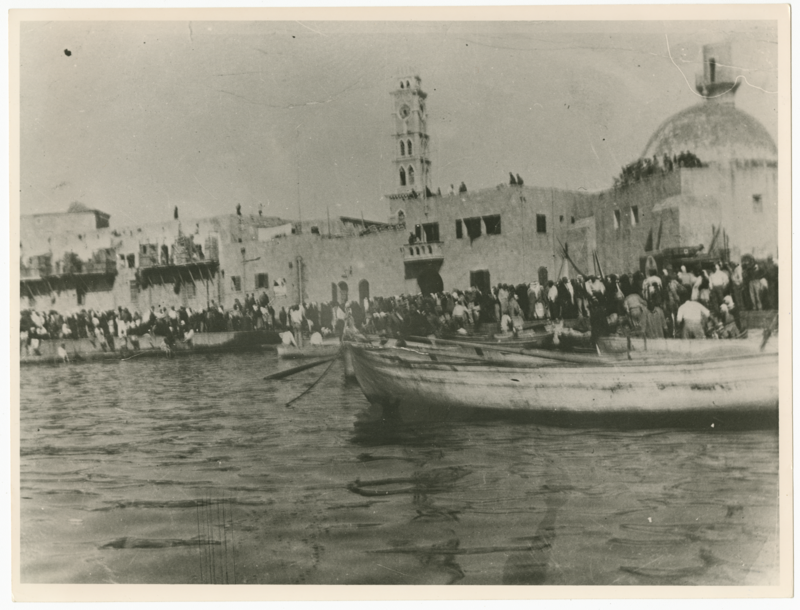 With the land routes cut off by the Haganah, tens of thousands of the citizens of Jaffa and neighboring villages fled by boat to Gaza and Egypt; scores were drowned. Jaffa was to have been the main port of the Palestinian state envisioned in the UN partition recommendation of 29 November 1947."